Are you all set for the long weekend? 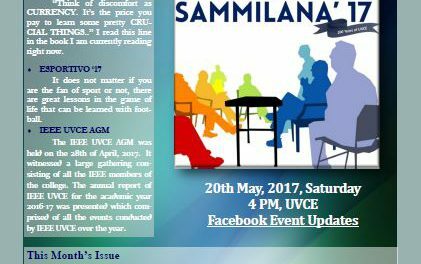 We are sure that nothing could be better than to sit back and relax while reading this edition of Sampada! The college campus is glistening with anxious and determined new faces. Yes! 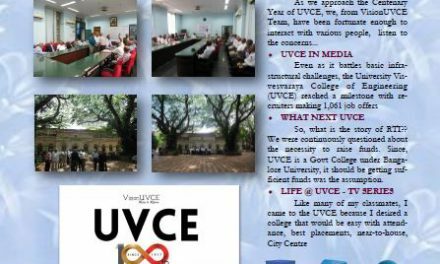 The 100th batch of UVCE has just stepped in. 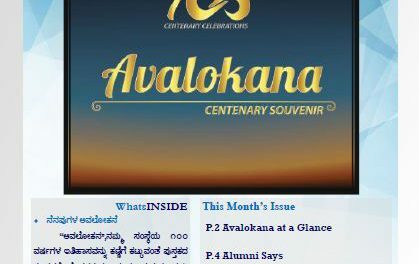 This surely does remind us of the celebration of this glorious centenary year. 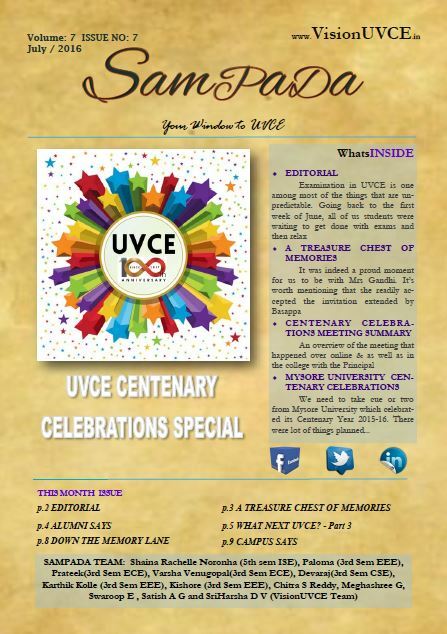 And so, we have this edition packed with the students’ expectation from the centenary year, the summary of the discussion which was organised last week, opinions and views about UVCE from the alumni and much more! We are pleased with the participation and enthusiasm displayed by the students and the alumni as well. 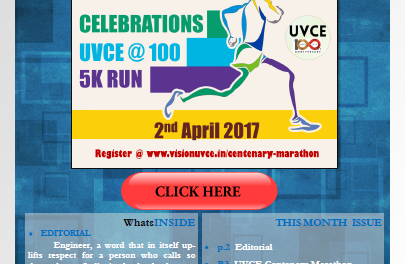 We would love to accept many more suggestions and better ideas concerning the centenary year celebration.